As a part of the Great Hearts network of public charter schools, Arete Prep is passionately committed to cultivating the hearts and minds of students through the pursuit of Truth, Goodness and Beauty. We operate classical preparatory academy that offers our students a transformative educational experience. 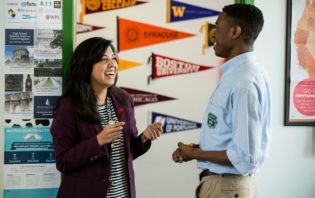 By engaging a well-rounded program in a vibrant school culture, our students are prepared for success in college, leadership in any field in which they choose to endeavor and a life filled with purpose. We believe that the highest goal of education is to become good, intellectually and morally. Please feel free to contact the Arete Prep administration and faculty with any questions.